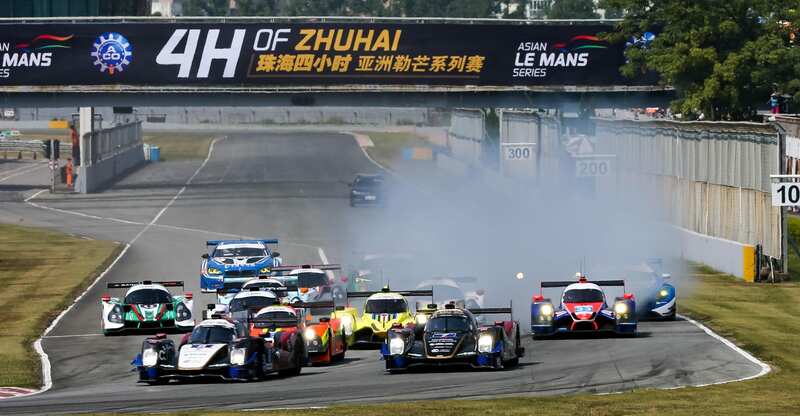 Harrison Newey took a debut victory as he made a winning sportscar debut in the Asian Le Mans Series at Zhuhai in China last weekend. A dominant victory with teammates Thomas Laurent and Stephane Richelmi was the perfect way to begin his winter racing programme in Asia’s most competitive mixed-class endurance series. The 19 year-old drove a faultless stint in the Jackie Chan DC Racing x JOTA Sport run LMP2 ORECA-Gibson to underpin a convincing maximum score for the team. Newey’s performance was such that it had the media enthusiastically describing his endurance debut as ‘accomplished and ‘impressive’ as he took a well-deserved place on the top step of the podium. The race had started with several challenges for Newey to overcome. These came after a clash between a slower car and his teammate Thomas Laurent necessitated a long first stop to undertake repairs to the rear of the car. These were completed just as he took over in the cockpit and was then tasked with catching and passing the No.37 Ligier which was now leading the race. Newey accomplished this quickly with a decisive move, and he then stretched the lead over his opposition to hand the car over to Stephane Richelmi. 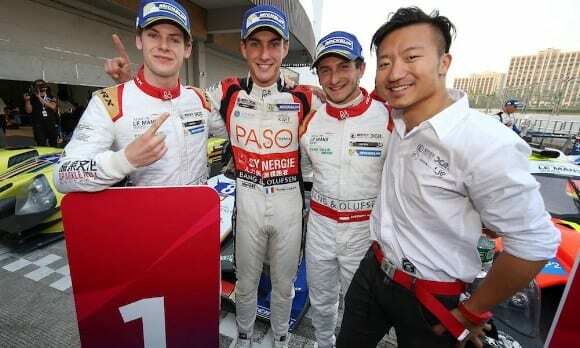 The Monegasque driver was able to bring the car to the chequered flag with a healthy margin over the opposition. For Newey it was a sweet victory and one in which the challenges of endurance racing were more than met. His progress over the weekend impressed the Jackie Chan DC Racing x JOTA Sport team who have been the leading LMP2 team in the FIA World Endurance championship this season with several wins including at the legendary 24 Hours of Le Mans. The 2017/18 Asian Le Mans Series is Newey’s chosen winter racing programme which follows a strategy he has successfully employed over the last three seasons. Last winter he was crowned MRF champion. Next on the schedule for Harrison Newey is the 4 Hours of Fuji in Japan over the weekend of 1-3 December.